The industry is under pressure to design and produce a radically different car of the future that will be able to travel long distances on an electrical charge. It could be a car that will be able to drive itself. Meet the Animators giving UAE stories universal appeal while drawing on local talent to make dreams reality. In making these cars, the legacy automakers will face new competitors that pose a fresh challenge to Detroit’s dominance. 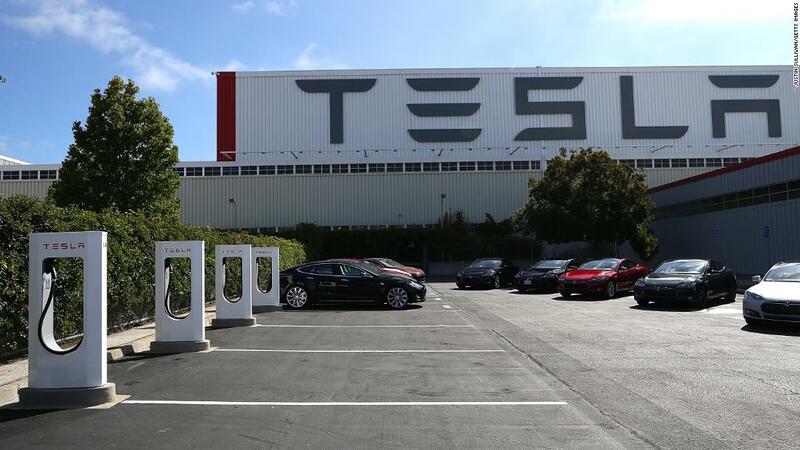 In its prior life, this Tesla factory in Fremont, California was a General Motors and Toyota plant. Tesla has lifted the bar for electric-powered cars. Its factory is a plant that GM and Toyota once operated together, which closed in the wake of the bailout and GM’s bankruptcy. Tesla is still an upstart — it has only a small fraction of the sales of GM and all the other established automakers. After reporting two positive quarters in a row for the first time in its history, it’s struggling to remain profitable. Nevertheless, investors see plenty of potential there: Tesla’s market value has often topped that of GM, and it remains far more valuable than Ford. Uber, Lyft and similar services elsewhere have raised the possibility that people will stop buying cars from automakers and just buy individual rides instead. Lyft, which went public Friday, had an IPO price that valued the company at nearly half the market cap of GM, despite the fact that it’s never made a profit. Uber, which is planning its own public offering later this year, is worth far more. And huge, deep pocketed tech companies are also investing in research and development in the field, posing competitive risks unlike anything the US auto industry has seen since foreign imports first started eating away at American automakers’ dominance of the industry in the 1970s. 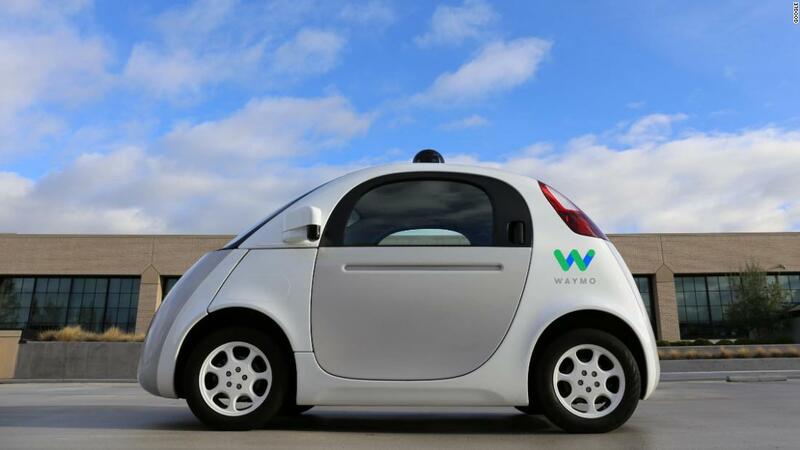 Google parent Alphabet has a self-driving car unit known as Waymo, which has been testing vehicles on the road for years. Apple has invested in the field, and Amazon recently bought a stake in an electric truck maker. Those are three of the richest, most valuable companies on the planet, dwarfing the financial success of any automaker. Waymo tested 50 of these self-driving prototype vehicles, dubbed Firefly, before shifting its focus to other models. 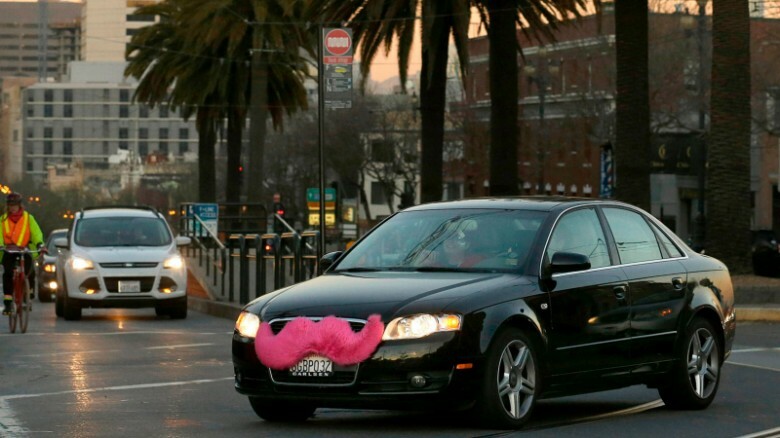 That new form of competition could be the most serious issue for the traditional automakers. And yet the established automakers need to respond to these changes all while competing in a mature industry and responding to changing customer tastes, such as a fairly rapid switch away from the traditional sedan. “They have to focus on today’s business, building cars and selling them to consumers. At the same time, they have to invest in new technologies, connected vehicles and reinvent the business model for acquiring personal transportation,” Krebs said. “No one knows when those changes will take hold, and no one knows how or when they will make money on those new technologies. 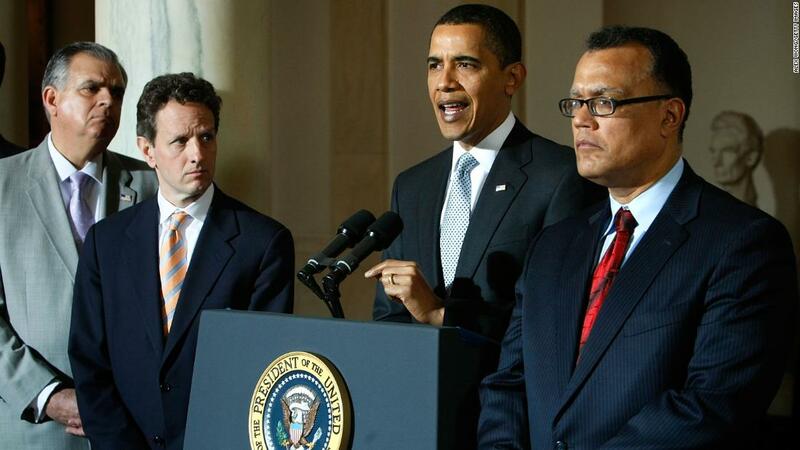 The auto bailout, announced by President Obama on March 30, 2009, helped GM and Chrysler come back from financial distress. A decade ago the industry was on life support. Prior to the Great Recession, US automakers had struggled to compete with nonunion foreign-based manufacturers like Toyota, Nissan and Honda, which had opened US factories and paid lower wages and benefits to their workers. Then the financial crisis choked off credit for the automakers, their dealers, and car buyers. Auto sales plunged. Anxieties flared. On March 30, 2009, newly-elected President Barack Obama announced that the government would provide GM and Chrysler with a lifeline. It was one of the most costly, and least popular bailouts of the time. Taxpayers lost nearly $12 billion on the government’s aid to the two companies. Eventually, however, the bailout allowed both GM and Chrysler to become successful and hire tens of thousands of workers. It also saved suppliers’ jobs. Allowing the companies to fail would have been far more expensive for taxpayers. 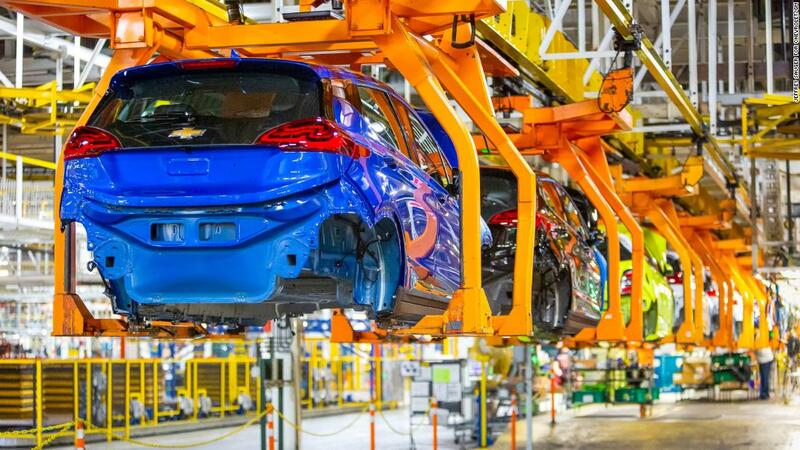 GM’s electric car response to Tesla — the Chevrolet Bolt — is produced in its plant in Orion Township, Michigan. Today, the automakers are not facing any financial distress. They are profitable and selling cars at near record numbers, both at home and around the globe. But the technological and competitive pressures ahead explain why automakers are making radical changes, cutting costs and forming alliances with other companies. They’re preparing for a future in which people will move from point A to point B in an entirely new way. GM is in the process of closing down four US plants, which it hopes will free up $6 billion a year. At the same time, the company has poured money into electric and autonomous cars and invested in a ridesharing platform called Maven. Ford is looking at a similar transformation. It’s closing plants but also planning to spend $11 billion on a restructuring its business over the next three to five years. Ford is also in talks with Volkswagen to “investigate” how they can work together to develop electric and self-driving cars. The promise of self-driving technology and ride sharing has raised the potential that cars will be on the roads for most of the day, rather than sitting in driveways or garages for much of their lives. That could reduce the number of cars that automakers will need to build in the future. But the automakers say they will benefit from a change in the way people buy and own cars.They could do far better if they can sell rides to their customers rather than the cars themselves, auto industry executives say. Today, GM makes about $30,000 over the lifetime of every vehicle it sells, said GM’s Dan Ammann. But selling rides in driverless cars could balloon that figure to hundreds of thousands of dollars per car. Ammann recently gave up the position as president of the company to be CEO of its Cruise unit, the part of GM focusing on self-driving cars. The move demonstrates the importance that he and GM see in the future of the business. The company also said it intends to spend $1 billion this year on the division. But GM is not clear on when self-driving cars, or even the more modest electric vehicle business, will be large enough to be profitable. “I would say early next decade, but I wouldn’t put any more specificity on [electric vehicle] profitability than that,” said GM CEO Mary Barra on a recent call with analysts. And that’s the problem facing the entire industry. Automakers are investing billions into technology without knowing how, when — or even if — it will be profitable. It’s also not clear if the winner will be a traditional automaker or one of their new competitors.